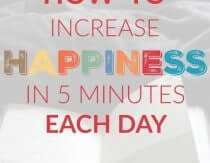 Heather Dessinger 43 Comments This post contains affiliate links. Hey y’all, each week I share a useful tip, insight, or recipe from a book I’m reading. As you might imagine, I get a TON of books to review every month. It’s about time I start sharing the best of the best with you, so let’s get started! So, I may have mentioned a time or TEN that some of you have reported amazing results after using tallow balm on an eczema flare. Seriously, you send me pics. Unlike steroid creams, tallow balm provides the skin with real nutrition: Vitamins A, D, E, and K, conjugated linoleic acid (CLA), and palmitoleic acid, a natural antimicrobial. But is there anything else we can do? In other words, can we prevent a flare before it happens? According to Emily Bartlett, LAc,- author of The Eczema Cure – the answer is YES. Emily has a thriving acupuncture and Chinese Medicine practice in LA, but I’d say her most important credential is that she is the mama of “Doodles” – the sweet girl who inspired this book. When Doodles developed eczema, Emily implemented four steps to help her heal. Here’s a snapshot of Doodles before and after the protocol. Why do some people get eczema when others do not? Genetic predisposition, immune system weakness and/or overload, and stress all play a role, says Emily. 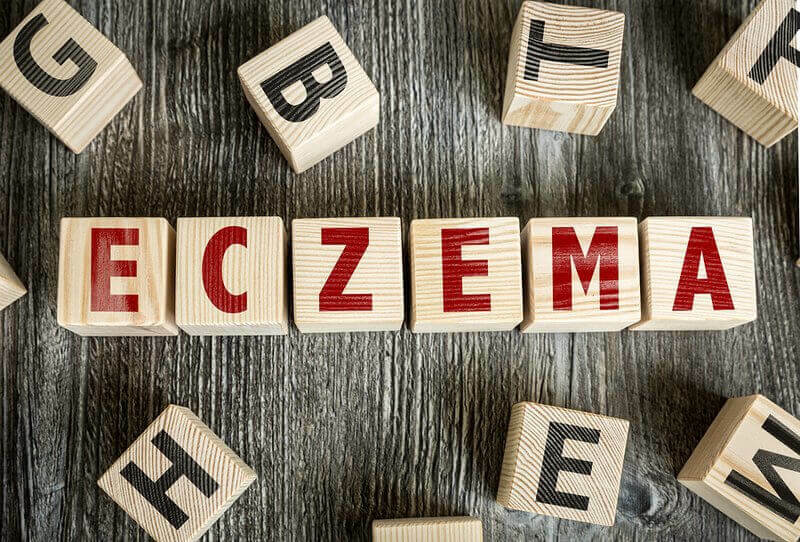 “The conventional treatments for eczema include: steroid creams, non-steroid petroleum based lotions, antihistamines, and anti-itch medicines. These medications work with varying degrees of success, but typically after a variable period of time, eczema flares again. According to Emily, the first step toward healing is to identify and avoid triggers. Today I’m going to share a few of the common “problem” foods she mentions, how to identify if they’re a trigger, and where to go from there. Foods that don’t list gluten anywhere on the label. “As food becomes more refined, gluten is used as a stabilizing agent in products such as ketchup and ice cream. But don’t always expect to see it on a food’s ingredient list: If it’s used in the manufacturing process, it’s often not mentioned on the label of the product,” says this article. Here’s a very helpful list of foods that either definitely contain gluten or are likely to. Personal care and beauty products. 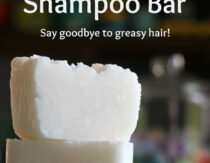 Shampoos, soaps, deodorants, lipsticks, lotions, all-natural hair sprays and even things like hand sanitizer often contain gluten in the form of wheat germ oil, hydrolized wheat protein, oats, hydrolized oat protein, textured plant protein, etc. Vitamins and supplements. A random sampling recently found that nearly 25% contain or are contaminated with gluten. Bulk bins. Those addictive dried mangos or raw walnuts may be sitting in a bin that previously held cereal, oats or cornmeal. Well meaning family, friends, and even restaurants! “Often good intending people say things are GF when they are not gluten-safe. For example: a local restaurant said they had GF bread. I was thrilled! But then I saw them put the bread in a toaster, where other non-gf bread was being toasted,” says Gluten Free Chickie. According to Emily, some may find it helpful to eliminate all dairy temporarily, while others may find that they do well with raw dairy. Except in the cases of extreme allergy, dairy can often be reintroduced after some healing has taken place. Don’t worry, Emily recommends re-introducing them as soon as possible. Here’s a list of edible nightshades from The Paleo Mom. “There are two ways to identify and address dietary triggers for eczema – allergy testing and/or elimination diets,” writes Emily. She then goes on to explain why skin tests and blood tests designed to identify allergies may offer incomplete or inaccurate information. For that reason, she recommends avoiding common food triggers for a period of time – this process is known as an elimination diet. “To start, journal everything you eat for about a week before altering your diet. Note the degree of your eczema for the day (on a scale of 1-10) and any other symptoms, even if you think they’re not relevant. Next, on the first day of your elimination diet, remove some or all potential food allergens from your diet for a minimum of 7 days to a month. In The Eczema Cure, Emily lists other food triggers to watch for. She also explains how to identify and remove environmental and stress-related triggers, reduce inflammation and boost immune function. Perhaps most importantly, she has a whole section that covers healing with real food. There Are No Quick-Fixes . . . 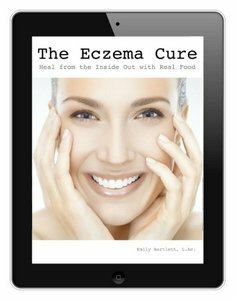 When it comes to healing from the inside out, but for those who are interested in making real changes The Eczema Cure takes a lot of guesswork out of the process. Your path will be unique and you may find you need support along the way (Emily includes pointers for where to look if you get stuck), but sometimes the hardest part is just getting a plan together and sticking with it. 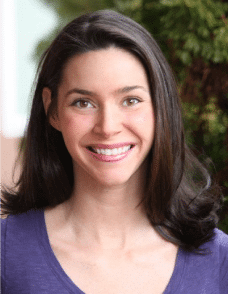 Emily has shared this method with hundreds of patients in her California practice and seen great results, so if you . . . Need help identifying environmental and dietary triggers and putting an end to those flares! And would like to do all of the above while eating pizza, Mexican carnitas, sauerkraut, kombucha, ice cream, and fudge, then your might want to check out this book! You may have heard some of the tips in The Eczema Cure before, but the beauty of this book is that it makes the process seem less overwhelming. If you’re interested in making dietary and lifestyle changes without doing the full GAPS diet, you can check it out via the link below. Want To Reverse Your Eczema? Read This! My 8 month old son who is exclusively breastfed gets random small dry spots. Most of it has cleared up as he gets older but I’m wondering if it could be something that I am eating that he could be reacting to?? I’m gluten free and eat very healthy. My son was exclusively breastfed when we discovered his dry skin outbreaks. I did the elimination diet anyways to figure out what was triggering the outbreaks– if anything. Also, be weary of eating out and/or even the slightest processed foods which have been known to cause our son to break out. And take into consideration laundry soaps, lotions, too many baths, etc. especially during the dry winter months (at least where we live). She spoke on internal and nothing about external. My son was n still to this day have all of them problems n Asthma both of the skin n lung diseases go hand n hadmost of the time. Ur child can have a allergic reaction to perfume which is n detergent, he/she lays there face on ur cloths , sheets, towels, pants, pillow cases. Solution: U have to read labels and find NO PERFUME detergent and was everything with it, NO EXCEPTIONS u never know where ur baby is going to lay there head. Usually if ur child has Eczema FIRST, they usually r going to b Asthmatic. U have to keep the skin lubed with cream, not lotion (lotion has to much water n it drys the skin even more) Neutragena, Eucerin, Equate (Walmart brand for Eucerin) cream or ointment. I recently discussed with my friend regarding her son, he has severe eczema, she told me the dermatologist recommended 3 times a week (and more if necessary), a bleach bath! yes bleach! 70 mls in a small bath. it apparently takes the staph load off the skin to reduce the inflammation…… SCARY. This is one of the latest so called ‘treatments’ for eczema. The MSDS for bleach is scary. My neighbour uses coconut oil topically for her sons eczema and it reduces the itch, reduces the inflammation and altogether it looks fantastic. Coconut oil is antibacterial so it probably reduces the staph load as well. You may like in “The Coconut Oil Miracle” by Bruce Fife. I just finished reading this in-depth book. Over the years he has compiled a huge amount of research and documented it ongoing books. Easy to read and boy does he ever draw the dots. I’ve been using Coconut oil for cooking for years but never knew just how extraordinary and wide ranging the uses there are. It really is perfect for a child or baby. Betty, bleach is not a bad thing. I take care of our pool and use the BBB (bleach, baking soda, borax) method. My husband was terrified at first at the thought of putting bleach in our new pool (12 years ago). But he loves how clean and sanitized our water is. He can open his eyes underwater and they will not burn. The only time we ever get algae blooms is when I get very, very lazy. And a few days of high bleach clears it right up. Our pool NEVER has the nasty bleach smell, like public pools or many private pools. Point being, bleach is a wonderfully safe way to kill bacteria when you use the proper bleach/water ratio. My husband is having eczema of late and we are about to go the route of bleach treatment. He has tried all the stuff the doctors have given him to no avail. The colloidal silver cream worked for awhile. Personally, I think drinking colloidal silver for a short time would be helpful. I think it is an internal issue and feel he should approach it from that angle. But we’ll keep doing what he wants to do……for now. Nichole, my daughter had eczema patches all over her back when she was around 10-12 months – during the summer when she was exposed to sunscreen, pool water, sand/beach, and sun. after the summer was over, they totally went away. Now she’s got a little flare up around her mouth like the baby in the photo here and my problem is this – she’s 2.5 now so she knows when i’m putting tallow balm on her face and immediately rubs it off as hard as she can with her shirt, a stuffed animal, or even the CARPET – anything abrasive to scrub the weird stuff off her face… which only aggravates it even worse. I’m having a hard time getting rid of this flare up because food is constantly touching it and even though we just wash her mouth w water after eating (no baby wipes) – it’s just constantly getting aggravated between the food and her touching/picking at it. Anyone have any advice??? Sarah, maybe try putting the cream on her face as best as you can after she falls asleep? Then it can soak in overnight uninterrupted. My son has had minor eczema patches on his skin since he was very young. He wears a hazelwood necklace now and no longer has any patches (unless I take it off for a week straight). After putting it on, a patch on his neck cleared up within 3 hours and after one week his entire body was clear. 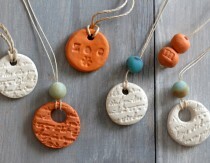 Is this similar to the baltic amber necklace? We just purchased one of those for our 18 m-o who has been doing some serious teething. Can you give me more info in regards to the hazelwood necklace? It is similar. Hazelwood absorbs the excess acid in the skin and in doing so can heal the skin. A website that has a lot more information is http://www.hazelaid.com. The wood needs to be in contact with the skin and will eventually become saturated. At that point you may begin to see flare ups again and can either order a new necklace or replace the beads (I order more on etsy and just replace them myself). My son’s skin stays completely clear as long as he is wearing his necklace. I have been absolutely amazed at how this has worked and it is so simple. When he was a baby I didn’t like having the necklace on his neck while he was sleeping, so I just wrapped it around his ankle at night and it worked great! I had really bad eczema on my hands that disappeared when I began to eat homemade kefir using kefir grains (from low temp pasteurized non homogenized grassfed milk at first, then from raw goat milk when I found a source). I think homemade kefir is a powerfully healing superfood, but I agree that commercially produced pasteurized milk is allergenic and is to be avoided. My 5 yod had an outbreak of eczema that lasted more than a year on I’d say about 70-80% of her body. No joke. It would get so inflamed that some places would weep. She looked like she had black eyes becasue it ringed both sockets. I tried everything. Diet elimination. Thick homemade salves. Creams. Special baths. Vitamins. About a month or so after we moved from an urban area to the country, she almost completely cleared up. Her skin is still very dry, and she has occasional patches of rash which we treat with salve and lavender oil. But she doesn’t look like the same child. I can’t say with any certainty what it was, but it would appear to be some part environmental. Perhaps water? She is a veggie girl with only a little meat thrown in now and then. Doesn’t like much dairy or wheat, maybe because we eliminated it for so long. It’s a tricky and frustrating issue, especially with children. I’ve had some kind of eczema or psoriasis in my ears for years. Then, a couple years ago, my hands started breaking out too. Oddly enough, it all seems to go away or at least calm down when I’m pregnant. We try to eat healthy, and I’ve gone without dairy in the past, but my “flare ups” seem to correspond mostly with stress and/or hormone imbalance. I definitely wouldn’t use the medically recommended treatments (I try to stay away from any/ all “medically recommended” things! ), but that Vintage Traditions balm looks very interesting. Also, I’m trying coconut oil both topically and internally to heal my body. I’d been thinking that perhaps these skin problems were based in digestive issues. Thanks for the informative post! I own a small handmade whole food orgainc skincare company and have had great success in the eczema department, here are the before and afters of Val, who has adult eczema and had tried 5 different prescription drugs before trying my SWEATER WEATHER tallow balm, within 2 weeks, its almost completely healed! It can be found at sourceskin.bigcartel.com, the before and afters can be found on facebook.com/sourceskincare, as well as child eczema before and afters. At 27 years old and got yhe first time ever, I’ve had eczema on my face for five months now. I eat homemade Kefir, sauerkraut and the standard Weston a Price diet. Of course there’s the occasional sugar, but I try to be really careful. 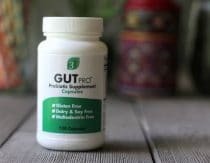 I have had this feeling in my gut for a while now that I really need to cut out gluten and dairy for a while to see if they’re causing the problem, but it is just so hard when you know that the fermented foods especially where the beginning of healing from so many other issues. I needed to read this article as reassurance that food elimination isn’t Necessarily forever. 🙂 The Lord knows how difficult trying the gaps diet was before the eczema, so I’m not sure I have the discipline to try that if my only really annoying “issue” is eczema. This healing through food journey isn’t easy and is not for the faint at heart. My little guy has suffered from eczema for years and I just found some great info on this list. Seriously thanking you for the share! Shout out to this book and Emily (and you Mommypotamus) – she is spot on! I use tallow balm on my daughters eczema, did all the healing foods, GAPS…etc and it was still pretty flaring. I got this book and implemented the few extra things in it that we didn’t know, they were the couple missing pieces to healing her! She is not perfect yet…but much better and on the way to a very healthy years to come, it has been a year since we got it. Thanks to you all who put yourselves out there so we can learn and heal from the inside. Natasha would you be willing to share the “extra things” you implemented? Thanks! Not 5 minutes after posting a question to a different mommy forum asking about allergies and eczema, I got the email suggesting this article. I am so grateful. My family is already GFCF and has been for months and my son’s (16 months) eczema has only gotten worse recently. Sarah d. You might be interested in looking up autoimmune progesterone dermatitis. (APD). My 16 you’d developed mild eczema around age 12. Tis past year is got severe covering most of her body. After getting no help from conventional medicine, we found a naturopath. Started on gaps and got quite a bit of relief but not complete healing. Discovered it flares with her period. Now looking at ways to balance hormones naturally. I jokingly told her to get married young and start having kids as they find relief during pregnancy. I have had celiac disease for over a decade and have had itchy, dry rashes flare up off and on for years. Usually doctors gave me antibiotics and steroids and it went away – this is before I understand how bad these treatments are. Last year, I developed this rash, which always starts in the same places (ankles, under arms and breasts). I am guessing it is eczema. This time though, it was so itchy and dry, I developed a bacterial infection from scratching it constantly (waking up with bloody sheets from scratching in my sleep!). I went to an immunologist and he have me many rounds of steroids and steroid cream and as soon as the dose was over, it was back with a vengeance. Then he decided to put prescription Selson Blue shampoo on my skin, everywhere I had the rash – which was everywhere but my forehead and cheeks. It was torture. Literally. It burned off the bacterial infection, sorry to be so crude. I don’t want anyone to have to suffer like that. I kept insisting it was food related and every Dr I saw and I saw many, said “No way.” After the infection was gone, the eczema was still there. This Dr ran every test he think of incl cancers, dermatitis herpetiformis and many others. All tests were inconclusive. So I stopped eating grains, dairy and corn. I used Vaniply ointment to keep my skin moist and slowly, my skin started to clear. This took a year. Now, anytime I eat just a few bites of grain or dairy, it flares up. The thing that has worked the best for us, even after years of various dietary approaches (like GAPS) has been simply taking enzymes before meals. The one that has made the biggest difference is HCL with Pepsin (I like the Solaray brand). We take one of those before each meal that has protein in it. The difference has been amazing- my skin is not just free of eczema, but looks better in general. We take a couple of other enzymes as well, depending on the situation. I eliminated my back and hip eczema with a homemade tallow/jojoba cream. A more stubborn case on my fingers *appears* to be healing with acupuncture and switching to Chagrin Valley shampoo bars and homemade flaxseed hair gel (my other shampoo and hair gel had chemicals and gluten ingredients). I am cautiously optimistic…. What if the triggers are not food products? We recently had allergy testing done on my daughter and all of her triggers are environmental (animal dander, grass, molds to be specific). We have no pets, but can hardly get rid of the grass everywhere and mold count is very high right now here in Tx. Will this protocol have any effect is she has no food allergies? My daughter at the age of 3 had severe eczema over 90% of her body and steroid creams made it worse. We then turn to natural solutions to help her. Flaxseed oil really helps with aiding the immune system to stop flareups. Keeping a journal of foods and what not to eat is so important.You must change the soaps to natural soaps and no lotion. We use http://www.adaddyslove.com products which is developed by a sucessful father who cured his daughter’s eczema using organic ingredients. Their products really work for us. In Oct 2013 I developed some red marks near the corners of my eyes. I assumed I picked up ring worm or something from the pool since I use goggles. I went to the doc and was given antifungal cream. No Joy! Since then I had random spots here and there, my eyes still have not healed up completely. Probably for the last month I have been on these blogs trying to help myself. I have made a lot of changes. However, I gained some weight and on Monday my skin was a MESS! Shoulders, back, eye lids, neck, lower hair line, areas around my arm pits, lower part of my ribs front and back had raised red bumps and were very itchy. I have been putting ACV on them when they start itching again. Am I detoxing or something? This is really frustrating!!!! Any suggestions? Has anyone tried making there own tallow balm for treating inflamed skin? I recently made some from the recipe in her Beauty e-book, and I haven’t noticed a difference. Just curious if it takes weeks to make a difference or what I could be doing differently. I’m not sure if my son has eczema or if his rash near his mouth is from teething… he has constant drool these days as he’s getting more teeth… he’s 17mo… and the only thing that takes away the bumps is that Tallow Balm you recommend! i love it but I’m also trying to make sure it’s not an allergic thing I should be aware of. … but he’s basically on GAPS so i can’t imagine it being a food. Ladies, help please! My 6-month old developed a dry patch on his leg, which is only detectable by touch. It doesn’t appear to bother him, nor does it seem to be changing with time. He is breast-fed, plus I just got him started on GAPS. Is this patch something that is eczema related? In other words – should I be worried? Hi Heather and readers. I am always interested in learning more about eczema and how to cure it. My 3rd son developed eczema and for a time we were going crazy trying to find lotions that didn’t burn and anything else that would help his itchy-burny legs. Knowing that it is theoretically a digestive issue, I tried to pinpoint the nutritional weakness to no avail. We finally came up with a goat milk soap that worked wonders for him. We are so thankful!!! My daughter just turned 2. Any thoughts on Helichrysum Italicum essential oil? Or olive oil infused with Helichrysum? We have just started trying to heal my daughters gut and monitoring external irritants. We are using homeade healing salve and ACV dilution. I need to cut eggs out now, too. -Wear cotton or soft fabrics. Avoid rough, scratchy fibers and tight clothing. -Gently pat your skin dry with a soft towel – do not rub. -Apply a moisturizer (I use the Made from Earth Valencia Orange Lotion) within 3 minutes after bathing to “lock in” moisture. I put foderma serum on my eczema flares and it usually clears it up within 3 days. This is the best serum I have used for eczema that is not prescription medication. My mom endured painful psoriasis on her hands only for almost twenty years. Terrible itching,cracking,peeling. She had to wear cotton gloves and bandaids they were so sore.No steroids or creams helped. After taking wheat out of her diet they have completely cleared. It’s quite amazing. Prev Post Are My Baking Soda and Baking Powder Too Old for Baking?